I’m still on my summer guest posting travels around the internet (you’ll see more posts here at the home base starting again in September), and I didn’t want you to miss my latest. This past week I visited Kristen Lamb’s blog to talk about my favorite social media site–Twitter. Twitter often gets a bad rap by people who don’t understand it, misunderstand it as full of spam and celebrity stalkers, or don’t know how to use it to its full potential to build an author platform. When used correctly, though, Twitter can be one of the best tools for meeting new readers and increasing traffic to your blog. Not to mention, it’s fun! I am also starting to plan out my WANA International classes for the next year, as well as what topics I might cover here during the remainder of 2013, so if there’s something you want me to post about or if there’s a particular subject you want me to teach a webinar on, please leave me a message in the comments below! How Well Do You Understand Showing and Telling? 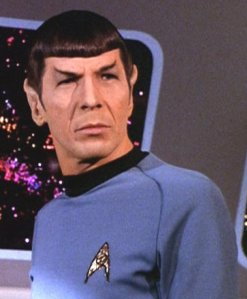 Spock says it would be illogical not to sign up. I’ve been traveling around the internet again, and I didn’t want you to miss the guest posts I’ve done on showing and telling. If you haven’t yet signed up for my newsletter where I tell you about upcoming classes, books, discount codes, and freebies, now is a good time to do it. If all goes according to schedule, I’ll have some very exciting things coming out starting next month and my newsletter readers will get a chance to read them for free in exchange for a review! Writing a book is easy…at least when compared to what we need to do after we finish. We had 50,000 to 100,000 words to write our novel, and now we have to condense that down into a couple of paragraphs for an agent pitch, query letter, Amazon description, or back cover copy. It feels unfair. Mean really. After all, if we’d wanted to write something short, we would have written a short story. But it’s not as scary as you might think if you break it down into a formula. If formula sounds too scientific, then think of it as baking cookies and this is your secret recipe to cookies a pitch that will make anyone’s mouth water. Are Online Writers’ Conferences the Way of the Future? I know I said I’d talk to you today about when you should tell rather than show, but I had to interrupt our regular schedule for a special announcement instead. 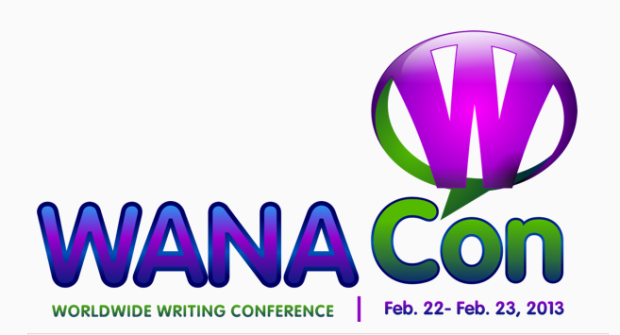 Yesterday Kristen Lamb announced the first ever WANACon, a completely online writers’ conference. While I don’t think online conferences will ever replace offline conferences any more than I think ebooks will ever completely replace paper books, I do think we’ll see more and more online conferences in the coming years. The reason is simple—we can attend from the comfort of our own homes. If you’re a parent or you work a full-time job, you can’t always leave for three days to a week to attend a conference. And a lot of us can’t afford the airfare, hotel, and other related travel expenses that come with an out-of-town conference. I’ve paid from $400 to more than $1000 just to register for regular conferences. Because online conferences don’t require their instructors to travel to the site of the conference, they don’t need to charge as much to attendees. WANACon is $125 to attend both days, and $75 if you only want to attend one day. For most conferences, you have to be at a session to benefit from the teaching. If you miss it, you’ll have to pay extra to buy the recording. With online conferences, a limited-time recording of the sessions is often included as part of the conference fee. This means you can “attend” even if you have to be at work when the session you desperately want is running or if you get called away by the needs of your kids. Aren’t There Drawbacks to An Online Conference? Certainly. One of the biggest benefits of conferences (aside from the teaching) is the chance to pitch to agents and network with other writers and industry professionals. You can see the complete schedule for WANACon 2013 here. On Friday morning (Day 1), I’ll be teaching Twitter: Ten Essentials Every Writer Needs to Know. Click here to register for both days. Click here to register for Day 1. Click here to register for Day 2. How do you feel about the idea of an online writers’ conference? Will they ever fully replace offline conferences? And are you planning to attend WANACon?